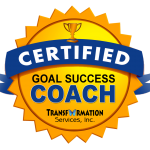 Since July 2017 I am a certified Goal success coach: a coach equipped with knowledge, approaches, and material to assist her clients in identifying their career goals, analyzing their motivation, and creating an action plan while paying special attention to procrastination and commitment. The purpose of this coaching course is to identify your career goals together and to use the best practices available in making sure you are successful in achieving them. Everyone has their own definition of success in the same way that everyone has unique dreams for their life. Professional success, in most cases, depends on achieving meaningful goals backed up with a solid short and long term plan. The good news is that goal attainment is a process, like building a house or baking a cake. There are a set of instruments and recipe ingredients to be followed on your way to achieving your career objectives. 1. I am comfortable in my current job, I know I don’t learn or develop much and I would like to identify my next career steps. I am confused as to how to approach this change, what should be my target and how to reach it. 2. I know my current job is not “my thing” and I don’t know what is the path to changing this and how to find it. 3. I would like to develop, to learn something new, I am wondering whether I should start a Masters program or enroll in a professional course. What to do? 4. I have a very clear idea about my next professional step. I tried by myself and I am not successful so far. What am I doing wrong? 5. I would like to reach the next career level – i.e. I’ve been a specialist and would like to try management, I am an accountant and would like to give financial analysis a try, I am a recruiter and am interested in training and leadership program management, but I don’t know how to get there. This coaching course usually consists of 3-6 sessions in which we focus on your career goals and any other related topics depending on the characteristics, preferences, and the situation of the client, investigate in depth the career components, and create an action plan. To initiate the journey towards identifying and achieving your professional goals with enthusiasm and curiosity. To participate actively in each session.